JAKS MACHINE INC. markets its positive & adjustable chokes along with it's other choke parts and accessories through a network of distributors and sales representatives, both domestic and foreign. We specialize in the manufacture of the OCT, FMC, Cameron type H2 and Thornhill-Craver chokes, which are fully interchangeable with those manufacturers of the same product style. These designs are time proven and have been employed in many different types of oil field service over the years. In addition to manufacturing the pressure reducing valve itself, we also manufacture parts for many other pressure reducing valves. 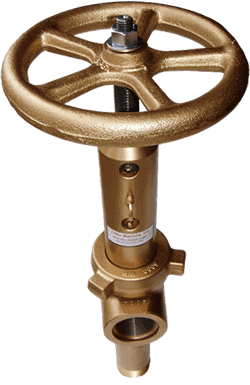 JAKS MACHINE INC. provides a comprehensive range of pressure reducing valves and parts. Our line of control valves are ideally suited for a broad range of applications. These include well heads, production manifold, well testing, steam injection, choke and kill manifolds, and indirect fired heaters.